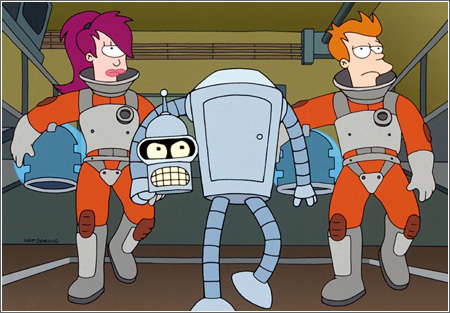 When it is discovered that Philip has been living in the Planet Express office, he is forced to move out. Trying to sleep standing up in Bender's closet-sized apartment doesn't work, so they go looking for a place both can be comfortable. Unfortunately, Bender is incompatible with the ideal apartment they do find until he has a radical... modification which makes him less than happy.